Of all the feast days celebrated in Spain few burn as bright as Las Hogueras de San Juan (we have already spoken in depth about them here). Marking the culmination of the feast of St. John celebrating the summer equinox massive bonfires of wood and papier maché are constructed on the beaches of Alicante and fireworks erupt overhead. Traditionally celebrants would have jumped over the fire seven times but given that they now grow to several stories high it best advised to enjoy the show from a safe distance. 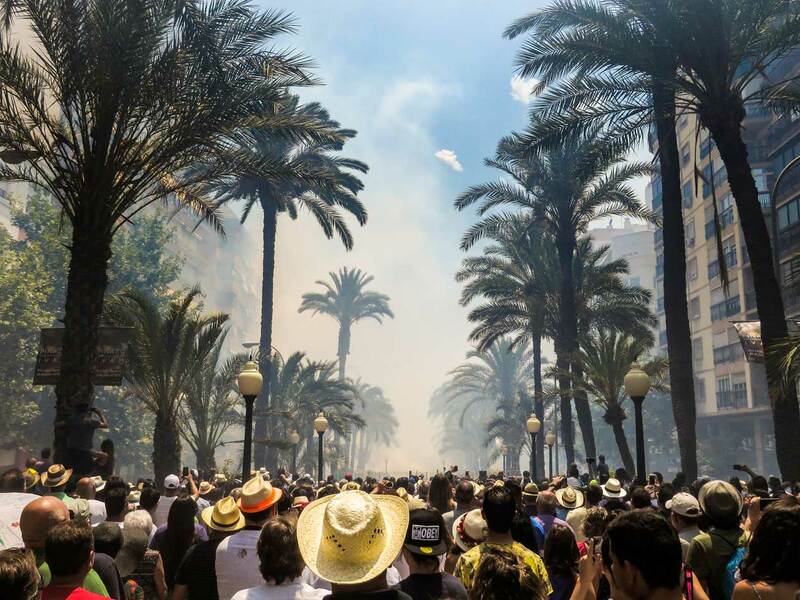 This festival originated as a ritual offering by the people of Elche to the Virgin Mary which involved the launching of a small rocket for each child in the family, but has in modern times developed into a thundering pyrotechnic display that takes place on the 13th of August each year. 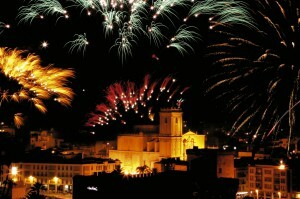 Throughout the city people let off their own fireworks, but the main event begins at 11:00pm and ends just before midnight when everything goes quiet, a white light is shone from the Santa Maria Basilica, and a traditional hymn is played. The long history of Arab, or Moorish, occupation of Spain has left a deep imprint on the culture of the country, from the Great Mosque of Cordoba, to the Alhambra in Granada and countless other traces to be found in the food, architecture, and language of modern Spain. Although this period was famous for its conviviencia, or peaceful coexistence, many wars were also fought, during the initial invasion and in the subsequent reconquista. These epic battles are re-enacted to this day in the form of the Moros Y Cristianos which are celebrated throughout Spain but nowhere more religiously than in the Alicante region. The most famous are the ones from Alcoy, Petrer and Elda. 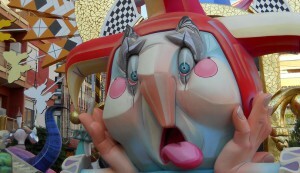 Carnival is a festival most almost synonymous with South America, and in Europe with the masquerade balls of Venice, but Spain also has a strong tradition of celebrating this winter festival, and in Alicante it is celebrated in style. 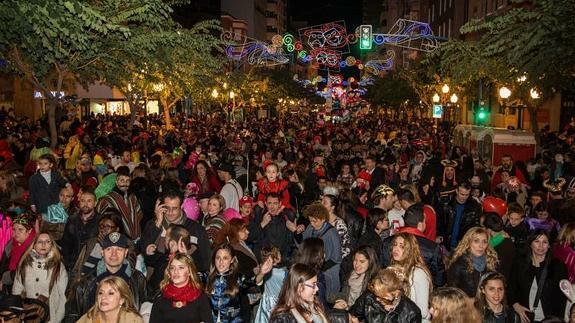 The high point of the festivities is reached on the Saturday night when thousands of revellers take to the city´s main Rambla in elaborate fancy dress to let loose and make merry. What is it about living on the Costa Blanca that makes people want to throw food at each other? In Valencia they have the Tomatina, the tomato throwing festival, and in Ibi near Alicante they have the enfarinats where flour bombs and eggs become the projectile of choice. Maybe it´s best not to ask as you will probably just end up with egg on your face. 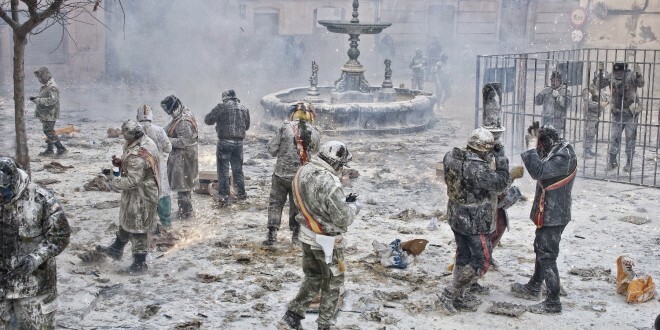 It all has something to do with staging a mock coup d’état where flour wielding revolutionaries take over the city and…but there´s no point in overthinking it – just join in with glorious messy madness of it all.